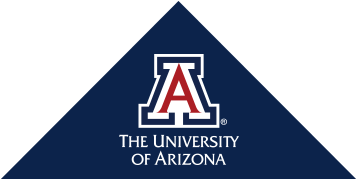 The University of Arizona Center for Integrative Medicine (UACIM) Alumni & Associates Network is one of the largest communities of extensively trained Integrative Medicine Practitioners. The Integrative Medicine Fellowship was developed by Dr. Andrew Weil in 1997 with the mission of transforming health care by educating leading medical professionals in integrative medicine practices. Today, UACIM is a world renowned educational program. The curriculum has been developed into six programs. The programs are designed for health care professionals at various stages of their career - from resident to practicing medical professionals. The UACIM Alumni & Associate Network creates a strong community of integrative practitioners and provides the tools and relationships to support our graduates as they continue their careers. As part of our Alumni & Associates Network, graduates receive newsletters with the latest integrative medicine news and ongoing CME opportunities. Our Alumni & Associates Conference provides graduates the opportunity to reunite with classmates and meet their UACIM colleagues from across the world. We're thrilled to announce the development of our Alumni Meet Up Groups, in which our Alumni led groups meet to discuss integrative medicine research and treatment plans, expand their professional & social networks, and discuss successful business practices. Congratulations to David Kilgore, MD, recipient of the first annual University of Arizona Center for Integrative Medicine Alumni of the Year award. Dr. Kilgore, Fellowship 2011, is Health Sciences Clinical Professor of Family Medicine at the University of California, Irvine (UCI) School of Medicine and has been working to increase access to integrative health resources for underserved patients. UACIM Premium Alumni Membership provides Fellowship & IHELP graduates with ongoing access to the latest program curriculum, ongoing CME opportunities and helpful practitioner resources. Membership is highly beneficial for those preparing to take the IM Board Exam, it offers a study guide and additional IM resources. Have a question or would like to connect? We're here for you!